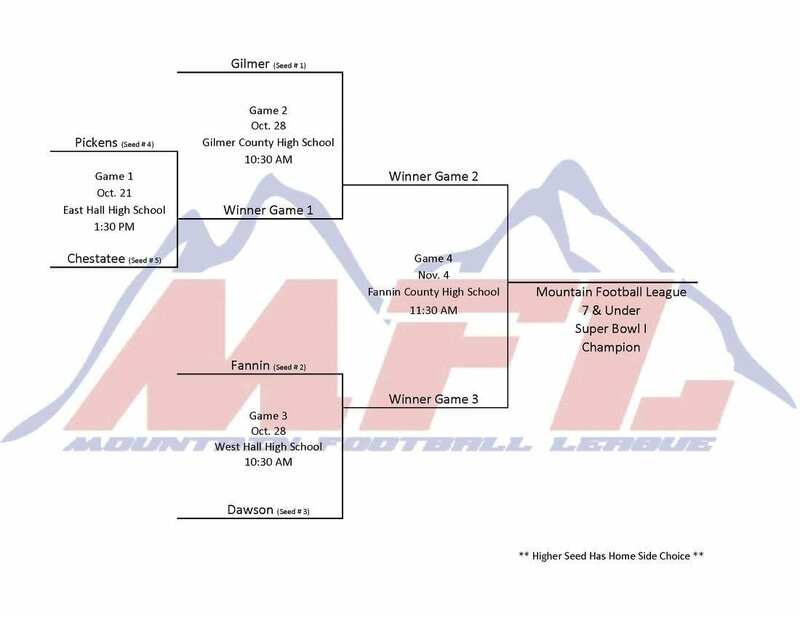 The Mountain Football League playoffs have finally reached their final destination for 2017: Super Bowl Saturday. This weekend, several of North Georgia’s finest young athletes will meet on the gridiron at Fannin County High School, battling to take home the league’s top honor of Super Bowl Champions. 6U: Fannin defeated Gilmer 22-0. Will play East Hall in the Super Bowl. 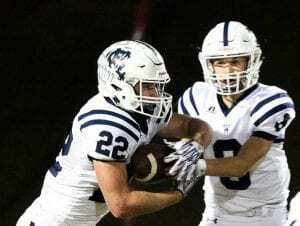 East Hall defeated Chestatee 34-0. 7U: Fannin defeated Dawson 32-0. 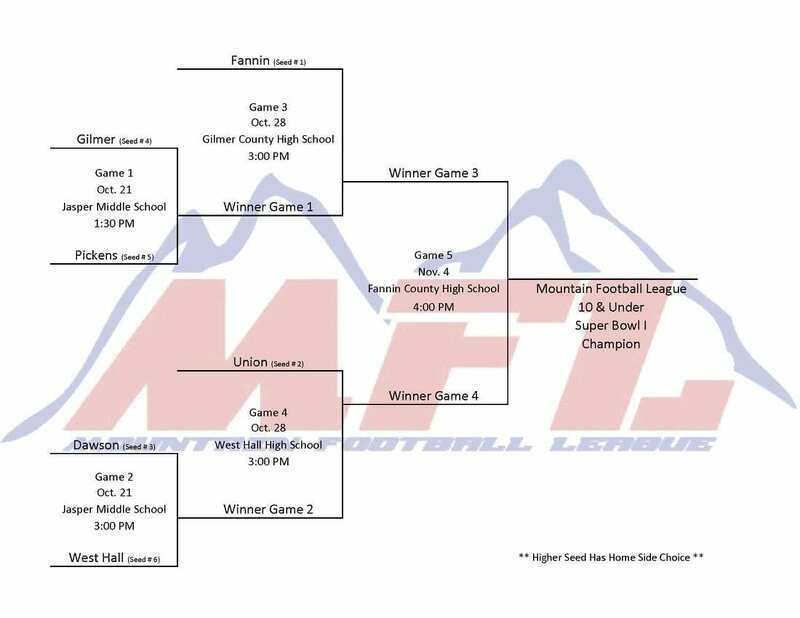 Will play Gilmer in Super Bowl. Gilmer defeated Pickens 46-0. 8U: Union defeated Fannin 20-0. Will play Chestatee in Super Bowl. 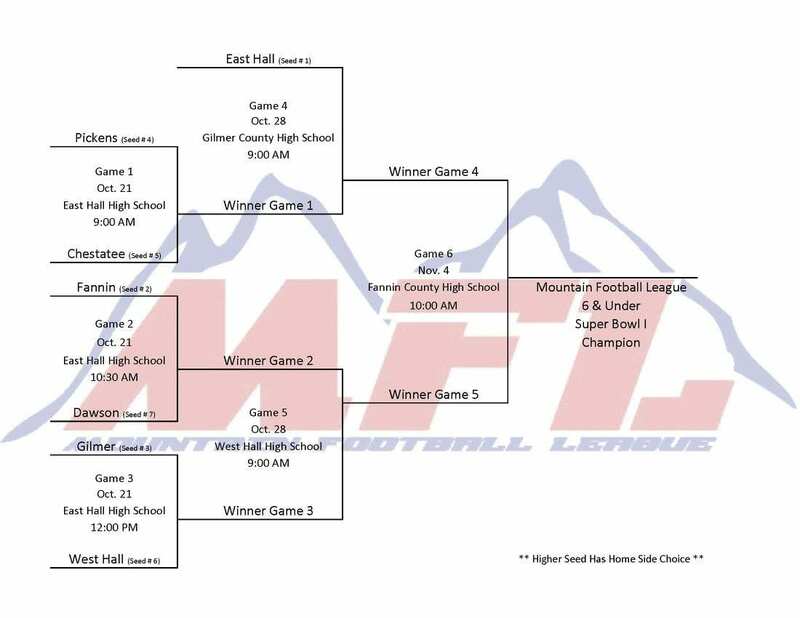 Chestatee defeated Gilmer 25-19. 9U: Chestatee defeated West Hall 34-8. 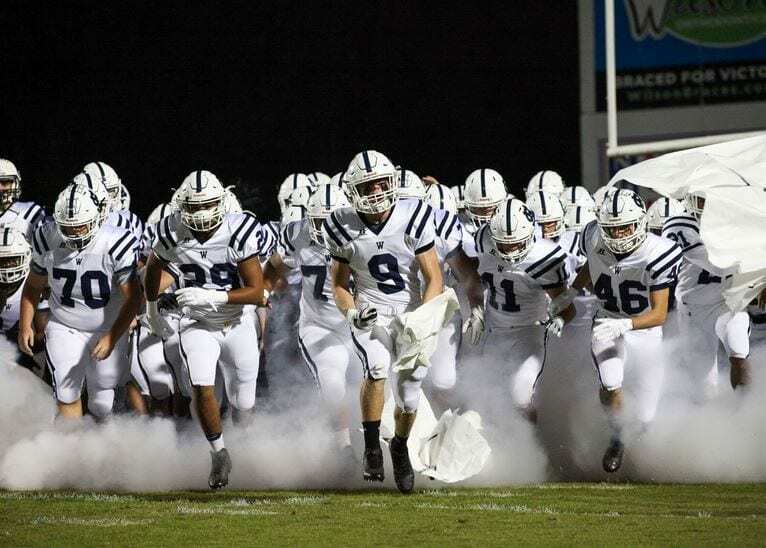 Will play Pickens in Super Bowl. Pickens defeated Dawson 26-0. 10U: Fannin defeated Gilmer 29-0. Will play Dawson in Super Bowl. Dawson defeated Union 12-0. 11U: Chestatee defeated Fannin 20-7. 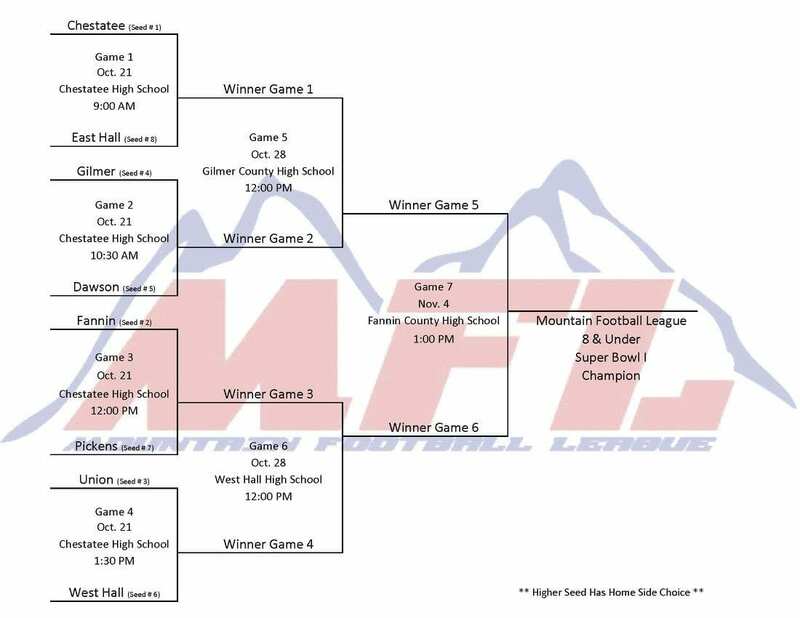 Will play Gilmer in Super Bowl. Gilmer defeated Dawson 7-6. Follow us on Twitter @teamfynsports next weekend (or on Facebook) as we will have complete Super Bowl coverage from the sidelines on Saturday. 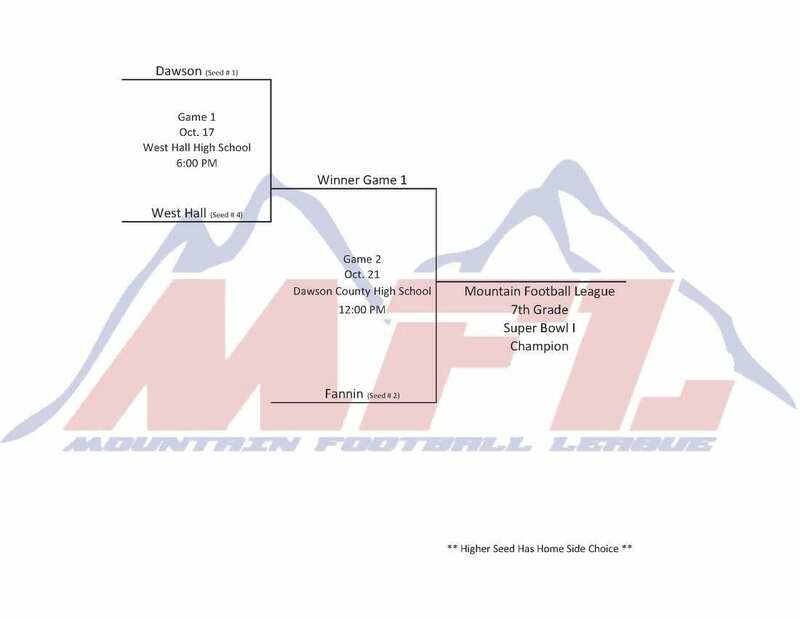 Saturday (Oct 15) marked the final week of regular season football for the Mountain Football League. 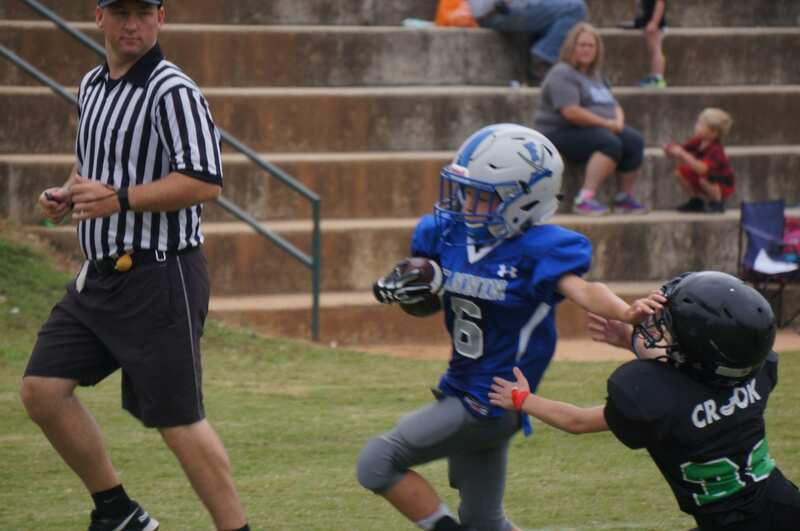 The MFL consists of Chestatee, Dawson, East Hall, Fannin, Gilmer, Pickens, Union and West Hall; and age divisions begin with 6u (under 6-years-old) and go up to 7th-grade. 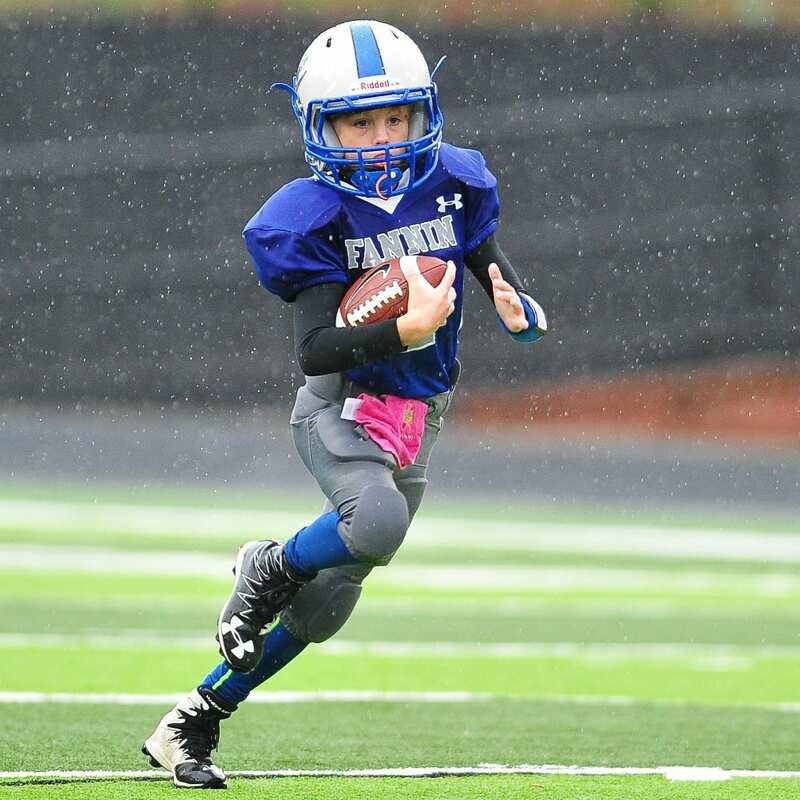 Parents and coaches of youth athletes are encouraged to please send your photos, stats and game stories to Jason@fetchyournews.com so that we can highlight the youth players throughout the post-season!